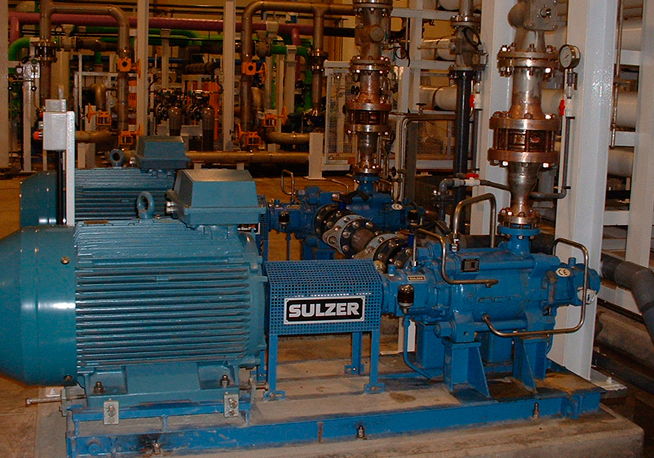 The seawater is pumped in via an open surface intake, located next to a fuel loading and unloading quay, at a depth of 10 metres. 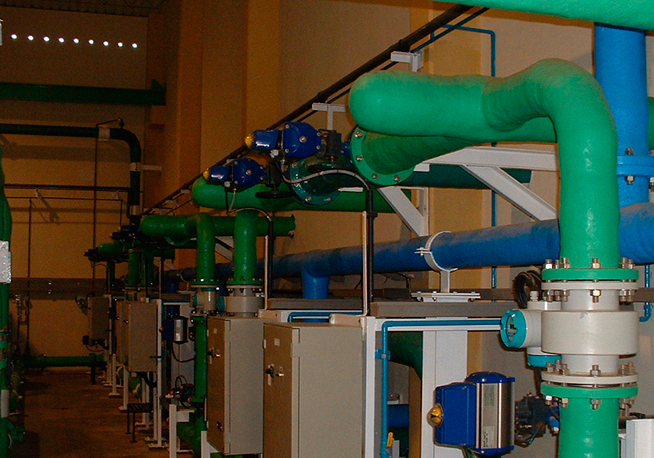 Once inside the plant, it undergoes a desalination process, with a conversion rate of 45%. 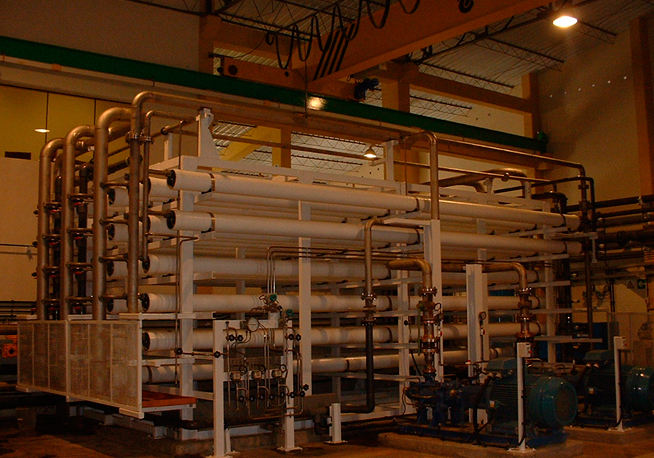 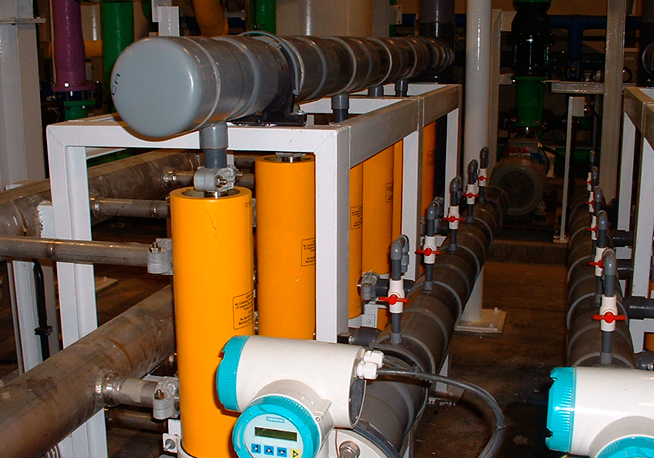 The reverse osmosis process comprises 1 frame with 294 aromatic polyamide membranes in the first stage and 49 in the second. 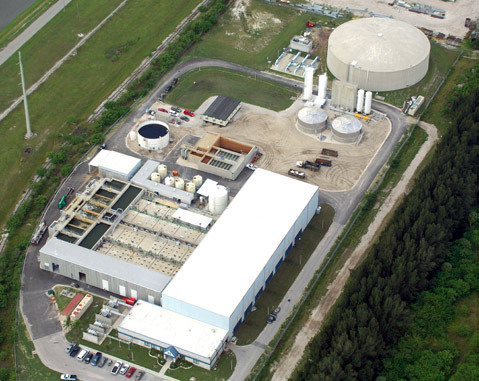 The Tampa Bay project is but one of ACCIONA Agua’s 70 reference plants in the sector with a total installed capacity of over 1.6 million cubic meters per day. 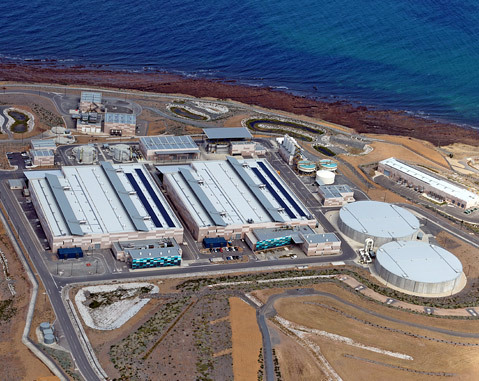 The desalination project is a key part of the South Australian government’s Water Proofing Adelaide Strategy. 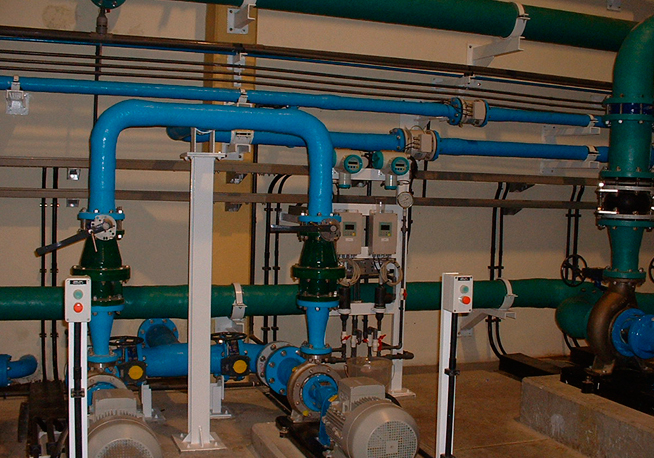 It provides Adelaide with half of its annual water usage and is powered by sustainable energy sources.